Nervous about breaking out that summer wardrobe? Now’s your chance to do something about it. As the snow melts, slim down by stocking up on these metabolism-boosting foods that will work at whittling away your waist, long after you’ve put the fork down. When your body digests protein, it uses up to 25 per cent more energy than with other food groups. That’s why eating plenty of lean protein is a guaranteed metabolism-booster and you should try to incorporate it into all of your meals. 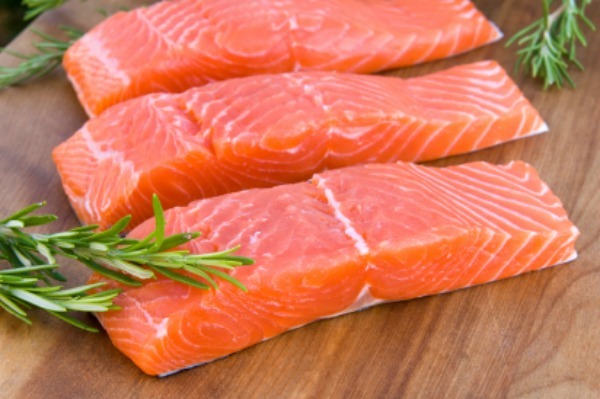 Salmon in particular is one of the best sources of protein out there, because it contains healthy goodness like omega-3 fatty acids, vitamin B12, vitamin B6 and selenium. Aside from containing lots of valuable nutrients like iron, vitamin C and antioxidants, spinach is also high in fibre, which can help you feel full for longer. And there’s a reason why Popeye loved these dark, leafy greens so much — the potassium and nitrates in spinach help your muscles function better, which increases your calorie burn. Just make sure you go for the organic variety — pesticides on regular spinach and lettuce can actually slow down your metabolism. Spicy foods don’t just give your tastebuds a kick — they also rev your metabolism up a notch. Try adding in spice where you can — for example, extra-hot salsa is a great addition to your morning eggs, and a spicy curry is the perfect dinner dish. Cinnamon is more than just a metabolism-booster— a 2009 study found that it may also be an effective tool in controlling blood sugar levels in diabetics. Try adding it to your morning yogurt or coffee for an added flavour kick. Although coffee sometimes has a reputation of being one of those “bad” foods, it’s great at helping you trim down, as the caffeine can help you burn more calories than you normally would. However, keep in mind that black coffee is best if you’re aiming to shed some weight— if your idea of coffee is a sugary latte covered in whipped cream, caffeine is just not enough to torch those calories. Snacking is a great way to keep your metabolism humming along at a steady pace all day and almonds are the perfect snack to help with this. Because they contain essential fatty acids, your body uses more energy than normal to digest them. Plus, they contain plenty of healthy nutrients to help keep you feeling full, including vitamin E and fibre.